The Maydays were winners of the award for best comedy show in the Brighton festival in 2007 and have performed for audiences, and trained improvisers all over the country, even going to Chicago to train at the IO theatre in 2008. Heather is also part of a two person improv team with Jules Munns. Their show ‘Ten Thousand Million Love Stories’ is a multi-character longform improv show around the theme of love which they took to the Improvised Play Festival in Austin Texas April 2013. Heather is winner of Foghorn’s UK Improv Smackdown 2013 and winner of The Latest Brighton Festival and Fringe awards Best female performer 2013. She compliments her improv career with acting, sketch comedy and singing. 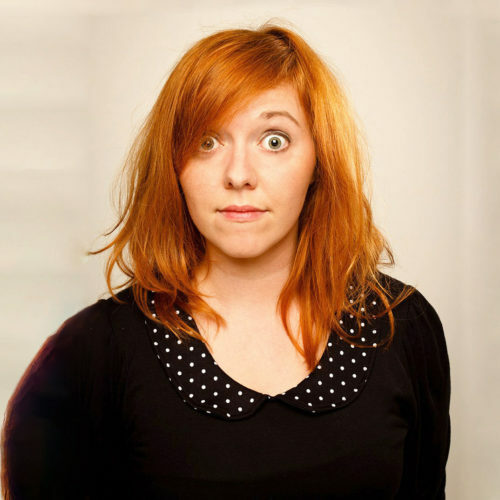 She has been a performer with Brighton’s satirical comedy sketch company ‘The Treason Show’ since 2007, as well as a sometimes singer with the mercury music prize nominated Electric Soft Parade.